Achillea filipendulina. Hardy perennial. This tall, commanding plant is covered with dusty-yellow heads on top of olive-green foliage. 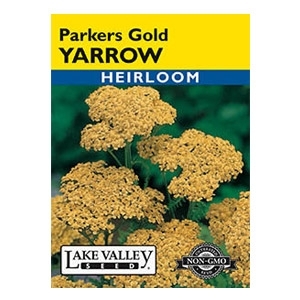 Produces 20 to 30 large flowers heads per plant in early summer. Excellent for drying and will retain its color for years. Great for hot, dry areas. Attracts pollinators.